1980s parquet tables with glass insets run rampant on Craigslist. 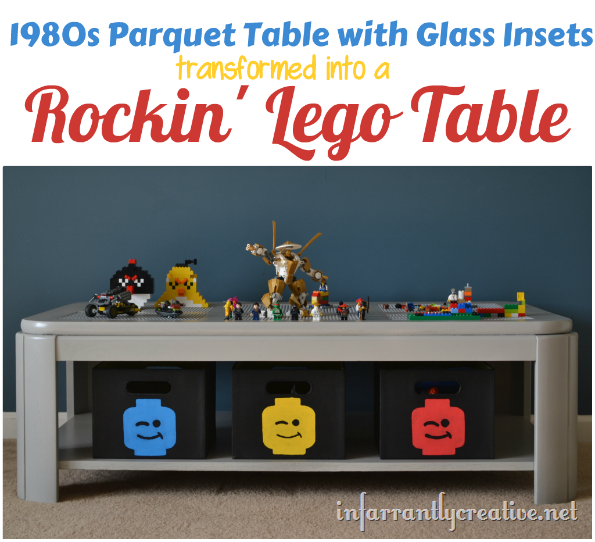 I scored one for cheap and transformed it into an amazing DIY Lego table for my son. The cool part is the baseplates are removable so you can move your Lego creations to another location. 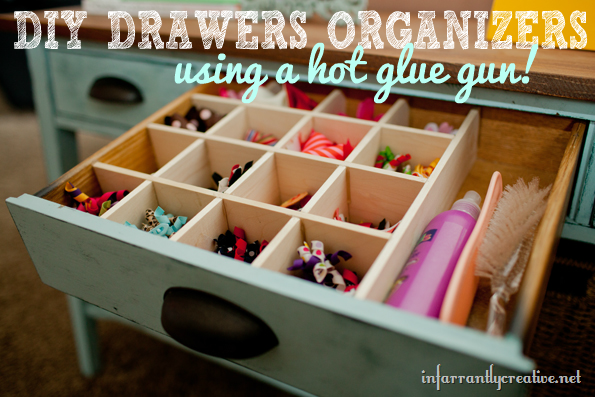 DIY Custom Drawer Dividers using HOT GLUE! Yesterday I showed you how I changed a $65 clearance end table from Home Goods to a beautiful icy blue. Now a new set of drawers are only good – at least for me – if they are organized. Now you could buy some clear drawer organizers or bins but that adds up and doesn’t give you as many custom options as making your own drawer dividers does. Plus you can’t beat the price of these. Below is the sofa table I did with custom organizers for Kayla’s bows. 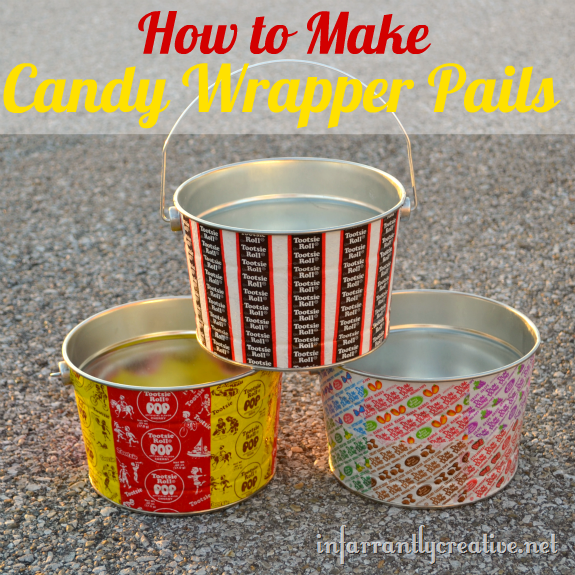 These Mod Podged candy wrapper pails are a great addition to your fall décor. They add a bit of whimsy to your décor by celebrating the candy-crazed month of October. You can have them out on a table filled with goodies, use it as a trick-or-treat basket, and then store toys in it in a child’s play area after the month. I mean…who couldn’t use another cute way to store stuff right?